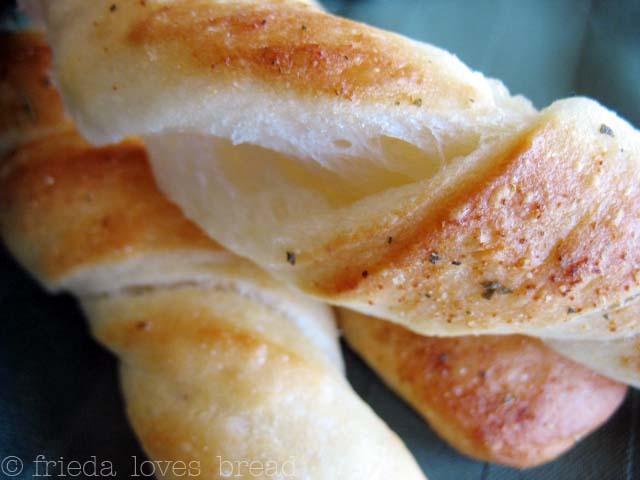 I have been making these soft, buttery bread sticks for many years and love this new shape! 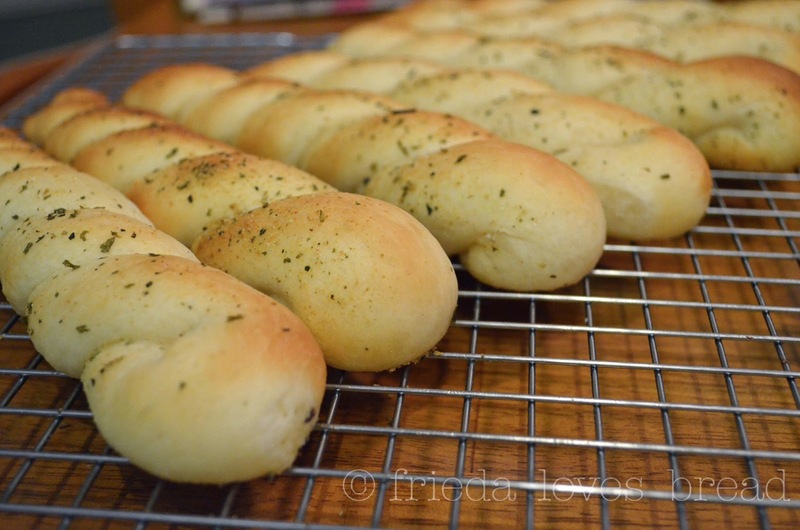 I use my family favorite dinner roll recipe that makes 24 rolls. 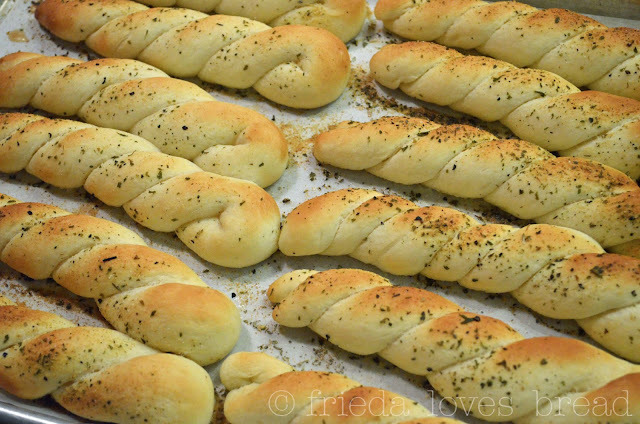 After portioning the dough into 24 pieces, I roll each piece into an 18" long rope. If your "rope" breaks, don't worry, pinch it back together. Holding your "rope" with two hands, loosely fold your "rope" half and twist it. Dip it in melted butter and place it onto a parchment or Silpat lined baking sheet. Sprinkle with your favorite toppings. I like to use McCormick's Salad Supreme or Johnny's Garlic Seasoning. Bake as directed for dinner rolls as indicated in the recipe. Shaping these bread sticks take a little bit more time and effort than these twisted bread sticks, but I think they are so pretty and elegant to serve along side a pasta or paired with a hot bowl of soup. Wow! This do looks so incredible. Lovely!! My daughter would love love love these. They look terrific.